It's always good to get more data - though I will say I'm not 100% sold on this new Twitter offering. Complimenting their recently released "Audience Insights" dashboard , Twitter have today announced a new range of data resources to help advertisers take advantage of the platform's reach and better focus their campaigns. These "aggregated insights", provided in conjunction with Twitter's data partners Datalogix and Axciom, offer more detailed audience segmentation options, like the ability to filter by more specific demographic sets, interests and purchase behavior. And while it's great to get more access to more info, there's something a little underwhelming about this new info. The first element of the update is "Campaign Insights". Campaign Insights "helps you better understand who you're reaching with your ad campaigns" by giving you the opportunity to compare data from your "reached" and "engaged" audiences - with "reached" being those viewing your ads, while "engaged" are those actively replying, favoriting, re-tweeting. Providing this comparison gives advertisers more refined understanding of what they're doing that's working, and also what's not, by highlighting who, exactly, is engaging with their content, down to the specific demographic detail. 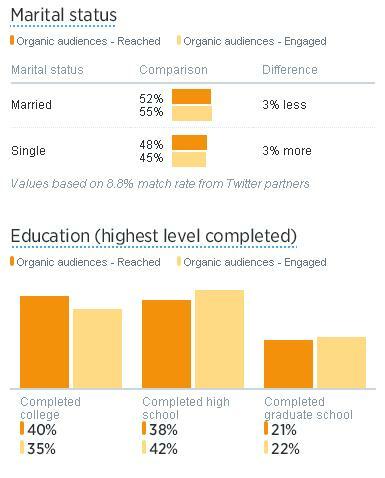 The comparison is an interesting tool, and it'll definitely provide insight to Twitter advertisers, particularly those who've been active advertisers for some time. 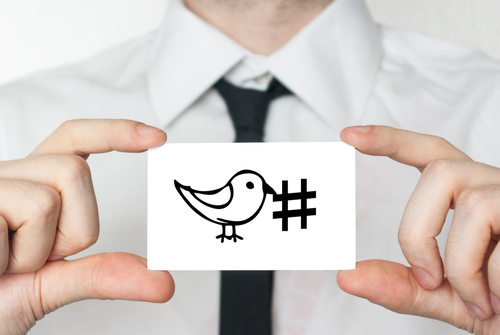 Obviously, the more you use Twitter ads, the more data the system will be able to access, and having the ability to compare the reached audience data in this way will help focus and target to ensure you're reaching the people you need to reach, and creating content focussed on the most engaged audience segments. Additionally, if you have conversion tracking enabled, Campaign Insights will be able to provide the same data comparison between reached and converted audiences, giving advertisers more opportunity to maximize their opportunities by highlighting the audiences more likely to become paying customers. Such focus data can only help in the long run. The second element of Twitter's new insights offering relates to "Tailored Audiences", the audience segmentations you've uploaded into Twitter ads. You can create a tailored audience by uploading your own e-mail list, submitting a group of Twitter IDs or by utilizing data from a Twitter "website visitors" code installed on your site. The new Tailored Audience option enables you to get in-depth insights into your created audiences, highlighting specific demographic information about each. Using this data, you can get more information on actions taken by these audiences, enabling you to develop a better understanding about those who've visited your website and those who've taken specific actions within your owned properties, like apps. 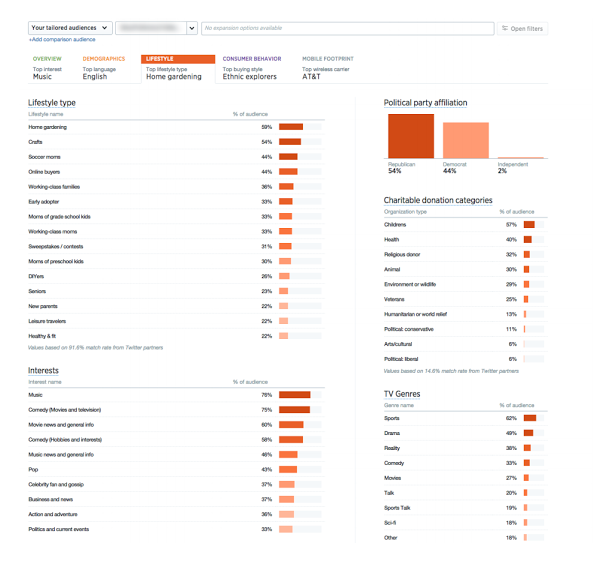 This is essentially the same analytics data available for your general Twitter audience, but obviously more specifically focused to you and the people you need to reach, providing helpful data points to refine your campaigns and strategies. 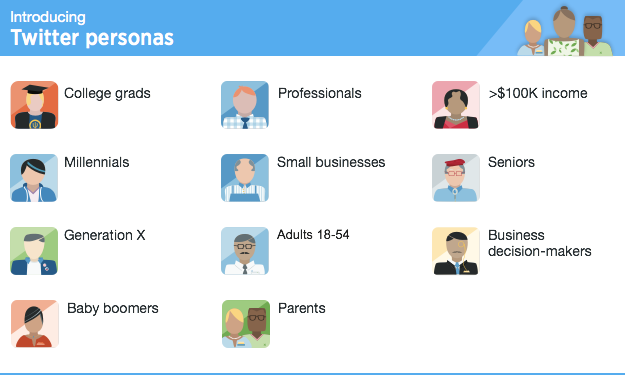 The last element of this new analytics upgrade is the introduction of "Personas", an easy way to focus on specific groups within the Twitter eco-system. "With personas, you can easily learn about specific audiences on Twitter - such as parents, millennials or small business decision-makers - and then target them in a new campaign with just one click, directly from your audience insights dashboard. You also have the option to add additional targeting types to refine your audience. For example, if you want to reach millennials who are using iOS, you can simply select "millennials," and then choose "iOS" as a mobile platform to discover more about this specific group of users." Essentially, "Personas" makes it easier to hone in your targeting on specific demographic elements, taking out some of the legwork in narrowing down your audience. It's an interesting addition, though it may be safer to actually take the time to specify your audiences independently. While the persona targeting options do cover all the key demographic brackets, and you can refine them down further yourself, you really need to make sure you're reaching the right people specific to your business and offerings, an assurance that may be best delivered by taking the time to understand your audience insights and hone them in by yourself. Overall, the new audience insights additions add to your ad targeting capabilities and offer a new level of data analysis that may help simplify the process - and will definitely help clarify some more specific details relating to your audience and how to reach them. But at the same time, there's not a heap to them, they're not enabling much more in terms of overall data utilization. That's not necessarily a bad thing, the Audience Insights dashboard in itself was a great addition and the data contained within it is a huge help. But these additions are more refinements, they're not building a heap on what was already available. But then again, that's likely not the focus, the aim is to clarify and simplify the ad process, and in that sense, the addition of specific brackets, in "Personas", may prove to be of huge benefits to some brands. The comparisons tool, too, is interesting and will prove helpful to those who take the time to analyze their audience via this offering, highlighting what's working and where you can improve to reach the audience you need. Campaign and tailored audience insights are now available to all Twitter advertisers globally, while "Personas" are only available to US users at this stage. You can access Audience Insights and these new options via ads.twitter.com - "Audience insights" is available within the "Analytics" drop-down menu.